This is the most severe outbreak yet recorded, having taken already more than a thousand lives, the foreign ministers stated. They expressed the sincere condolences of member countries and EU citizens to the African governments and peoples affected by the outbreak. The Ebola virus disease or Ebola hemorrhagic fever is a disease of humans and other primates caused by a virus that may be acquired upon contacts with blood or blood fluids of an infected animal (commonly monkeys or bats). Spreading through the air has not been documented in the natural environment. The disease has a high mortality rate: often between 50% and 90%. The average time between contracting the infection and the start of symptoms is 8 to 10 days, but it can vary between 2 and 21 days. No Ebola virus-specific treatment exists. Ministers took note of the recent decision by the WHO to declare the Ebola outbreak a public health emergency of international concern, and pledged the EU’s solidarity and support for the countries concerned, as well as for the health workers and international organisations that are doing their utmost to combat the disease. In recognition of the region’s inability to cope, the World Health Organization declared Ebola an international health emergency – only the third time in its 66-year history it has taken this step. The European Union has already committed €11.9 million through its humanitarian aid service ECHO and member states have provided additional bilateral support. The EU and its member countries said their stand ready to maintain their support to the African authorities of the affected countries in the implementation of emergency mechanisms. The Council calls for a strong follow-up and a coordinated international response which are deemed essential to contain and reverse the spread of the Ebola virus. 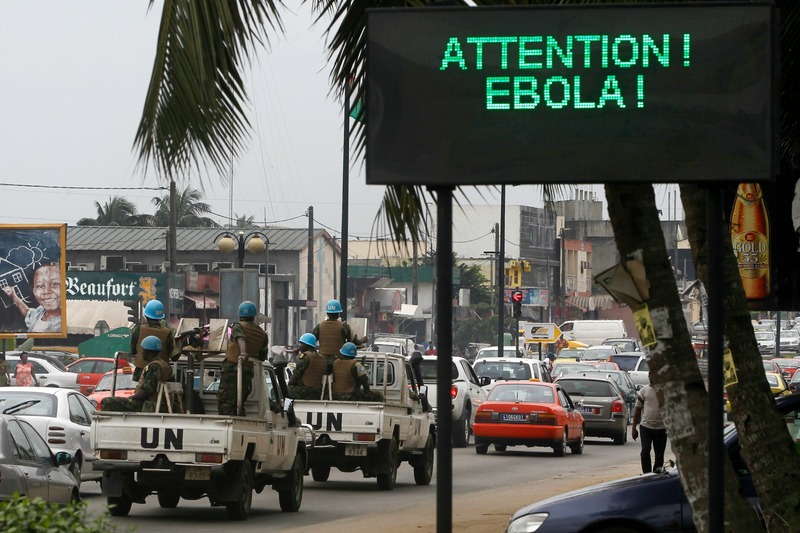 In the meantime, Reuters reported that in an attempt to try to control the Ebola epidemic spreading through West Africa, Liberia has quarantined remote villages at the epicenter of the virus, evoking the “plague villages” of medieval Europe that were shut off from the outside world. Ebola has killed at least 1,145 people in four African nations, but in the week through to 13 August, Lofa county in Northern Liberia recorded more new cases than anywhere else – 124 new cases of Ebola and 60 deaths. With her country under threat, Liberian President Ellen Johnson Sirleaf has imposed emergency measures including the community quarantine and a “cordon sanitaire” — a system of medical roadblocks to prevent the infection reaching cities, widely used against the Black Death in Medieval times. Troops have been deployed under operation “White Shield” to stop people from abandoning homes and infecting others in a country where the majority of cases remain at large, either because clinics are full or because they are scared of hospitals regarded as ‘death traps’. A crowd attacked a makeshift Ebola quarantine center in the Liberian capital Monrovia on 16 August, throwing stones and looting equipment and food, and, according to one health worker, removing patients from the building. Neighbors Guinea and Sierra Leone have placed checkpoints in Gueckedou and Kenema, creating a cross-border quarantine zone of roughly 20,000 square km, about the size of Wales, called the “unified sector”.